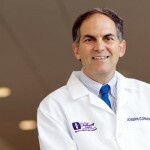 Local researchers, including Dr. Kerwyn Jones, chairman of Akron Children’s Department of Orthopedics, recently received a $30,000 grant to study the use of a computerized mapping system during surgery to repair patellar joint, or kneecap, injuries. A patellar dislocation is caused by a twisting or sprain to the kneecap, meaning the kneecap pops out of the joint and the fibers that hold it in place are torn or stretched. 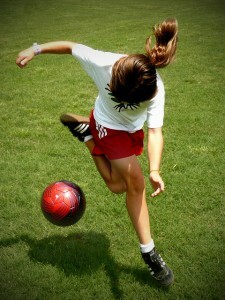 It’s a common injury in younger athletes age 12 to 16, surprisingly much more common than ACL injuries. Today, I spoke with WAKR morning show host Ray Horner about this injury and new technology. For players who aren’t responding to traditional treatment and need surgery, the computerized mapping system helps physicians determine which type of surgery is best to improve outcomes. 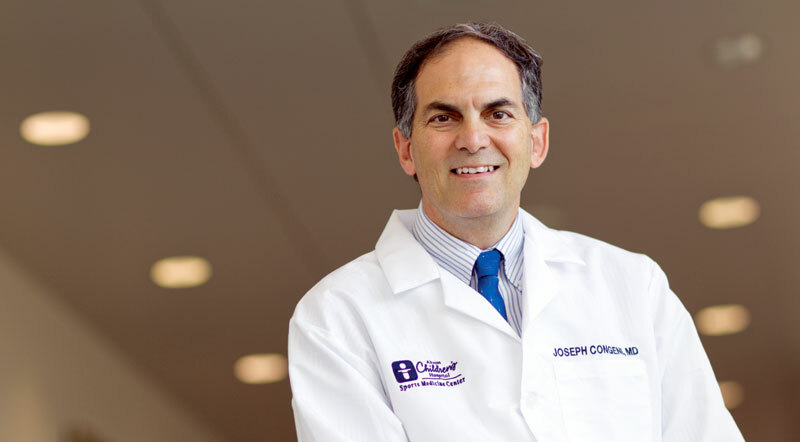 HORNER: I wanna bring [on] my good friend, Dr. Joe Congeni from Sports Medicine Center. [He’s] joining us from Akron Children’s Hospital here on 1590 WAKR News Talks Sports. What’s on the list in front of you, Joe? DR. CONGENI: Hey, Ray. You know, you were just talking about younger athletes and, uh, a research project’s going on here locally that I wanted to get people up to date on. You know, we hear about twisting injuries or sprains to the knee of young athletes and, you know, we’re conditioned because we look at the professional athletes and think, oh my gosh, there’s an ACL [injury], and we see a fair bit of ACLs, yeah we do. But, in younger athletes, uh, when they have a twisting injury to their knee or a sprain, it’s much more likely to be a problem with the patella or the kneecap. A much more common injury is gonna be a patellar dislocation, where the kneecap pops out of the groove or slips out of the groove and stretches or tears the fibers that are supposed to hold it in the groove. That’s a very, very common problem down at Akron Children’s Hospital or anybody playing youth sports, particularly between the ages of 12 to 16. It’s gonna be way more common than a torn ligament like the ACL. So, a couple of researchers including, um, our chairman of the Department of Orthopedics here at Akron Children’s got a very nice grant — a $30,000 grant, I think — people are talking about in the community to look at a computerized mapping system of the patellar joint. And so, there’s a joint, kind of a groove that the kneecap rides in, and everybody’s is made a little bit differently, particularly in female athletes that have a broadening of the pelvis for having kids later on. There’s more of an angle and a rotation to that bone. And, depending on how the kneecap sits in the bone, if people aren’t responding to traditional treatment and need surgery, they are using this mapping system to do a better job deciding what kind of surgery and where exactly they want that bone to be at the end of surgery. It’s kinda a cool thing to combine … computers, uh, with research in the surgical world to really help young athletes. HORNER: So, Joe, do the statistics tell you younger more than middle age? Do we see a lot of this in a younger age? DR. CONGENI: Oh my gosh, do we ever. So in the age like you’re dealing with, you know, with Rocco and that age range, junior high, grade school, the twisting, swollen knee injury is much more likely to be the patellar dislocation. And, the first step, and don’t get me wrong, isn’t to jump in and tighten up the kneecap and do surgery on ’em. The first step is still rest for a period, put ’em in a brace, rehabilitate them. But, what happens is a lot of kids return to play too soon, or they become chronic: 3, 4 times it gives way and every time they play, the kneecap’s popping out. In many of those cases, we start looking at the possibility of surgery. And, this new technique they’re looking at, this computerized mapping, is really very cool and a very good technique that could help kids a lot in getting the right surgery done that helps cure this problem. HORNER: Alright, Joe, good information. Always appreciate the time, and I guess we’ll catch up [next week]. … Is it next week you’re in studio with us again? DR. CONGENI: Yeah, yeah back in studio next week, Ray. HORNER: Alright, sounds good. Thanks, Joe. DR. CONGENI: See you then. Thanks. HORNER: Uh huh. Dr. Joe Congeni, Sports Medicine Center at Akron Children’s Hospital, joining us here on 1590 WAKR. ACL surgeries: A blessing or a curse?